Azul Furniture specializes in creating one-of-a-kind pieces of furniture, custom built from trees aging from 100 to 200 year old. Azul Furniture approached Elimint to have a website designed and developed that artfully reflects their uniquely created furniture. 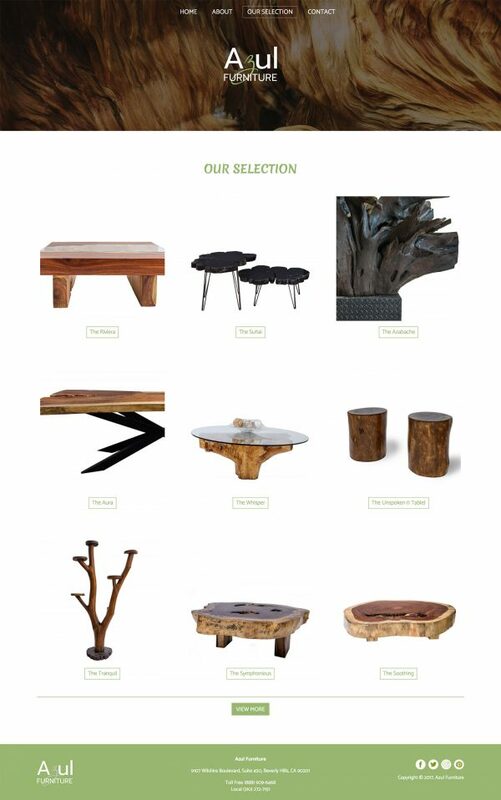 Elimint utilized e-commerce components to display information about furniture pieces detailing available materials, dimensions, along with photography showcasing furniture in living spaces. Elimint designed the website to not only showcase their various products, but also highlight their brand style through colors and fonts throughout every page.